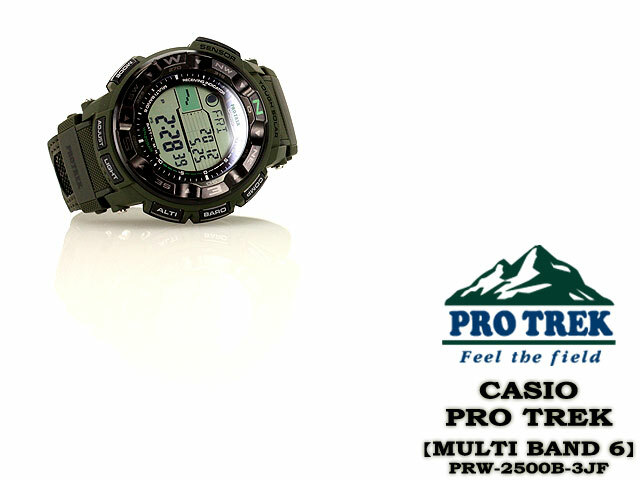 The PRW-2500 multifunction watch from Casio is the new Pro Trek for outdoor use. 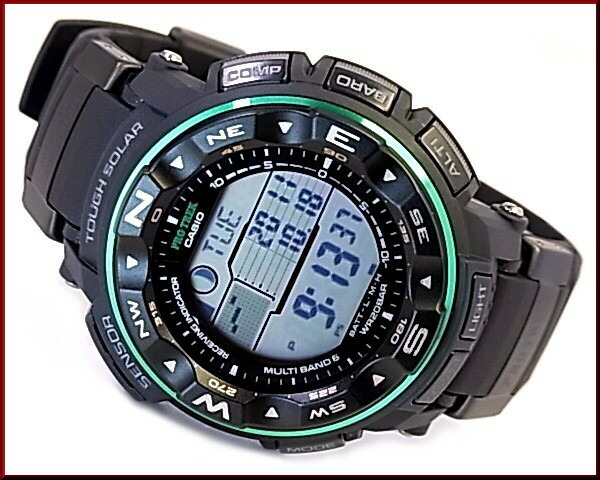 In addition to the compass, barometer/altimeter and temperature measurement , the model provides additional water sports features such as a water resistance up to 20 bar and an Ebb tide indicator. 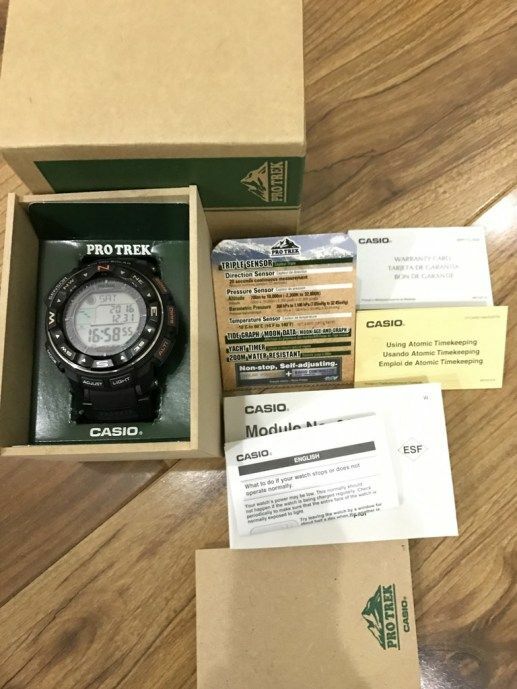 In the new PRV-2500 comes the Casio triple sensor for use with the the watch is used in different environments such as in the mountains or in the water. 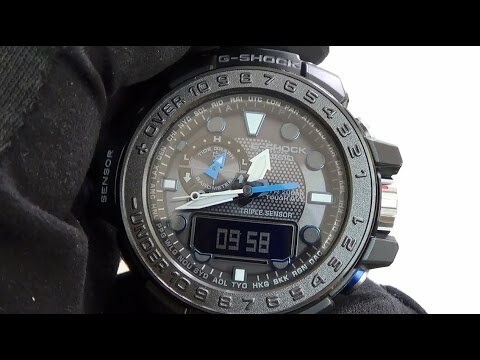 Not only climbers can enjoy the clock thanks to compass and altitude. 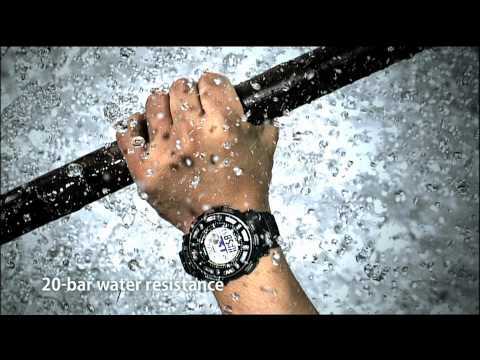 The high water resistance enables even extreme water sport activities such as river-climbing or river rafting. The tide information of the integrated ebb tide indicator provide important data for canoeists or fishermen. Especially in adventure racing with two or more endurance sports shines the clock with many benefits. 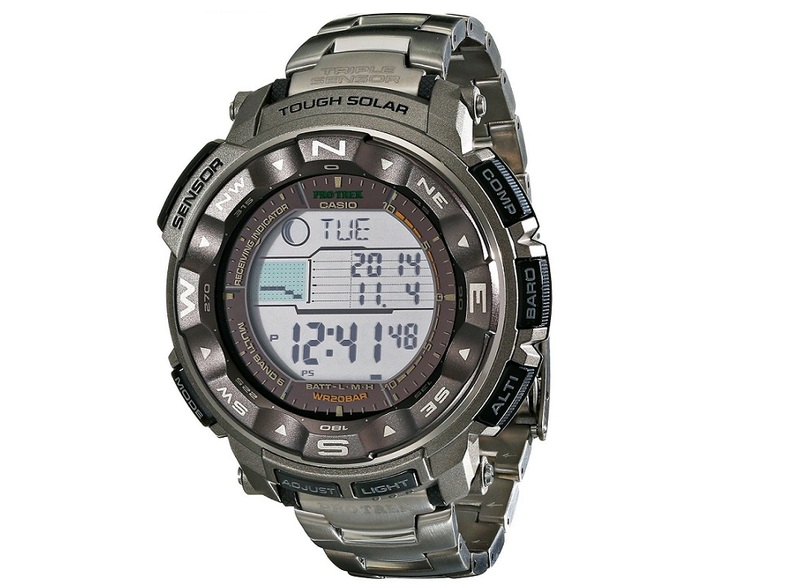 The large display makes for excellent readability and features a dual LCD design. 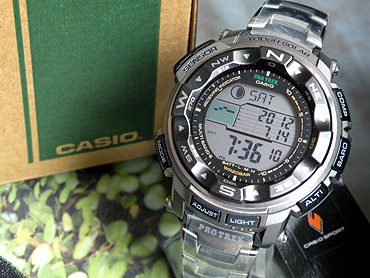 Data and functions are displayed both in the upper and the lower display, so that important information is easy to read. The compass a compass graphic will be shown in the upper display area. 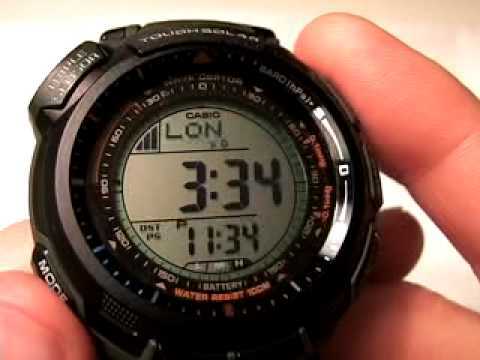 The lower display shows the current time, the direction and the degree of angle to the direction of the North. The ebb-tide indicatorcurrent tides as a graphic at the top will be displayed. Date, time and moon phase and age are displayed at the bottom. 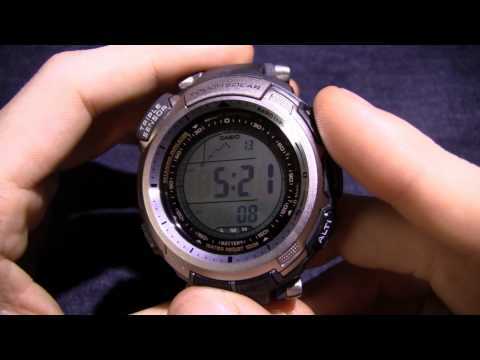 The significant representation of the graphic in the upper display enables an effortless reading of the information. In addition to numeric and graphical display the air pressure is represented by simple arrows, informing about changes in atmospheric pressure. This function has been developed together with leading meteorologists. An upward pointing arrow displaying increasing air pressure and indicate a high. An arrow pointing down, however, informs about falling air pressure and an approaching area of low pressure. More arrows show a shift from rising to falling air pressure, or vice versa, and facilitate weather forecast this way. 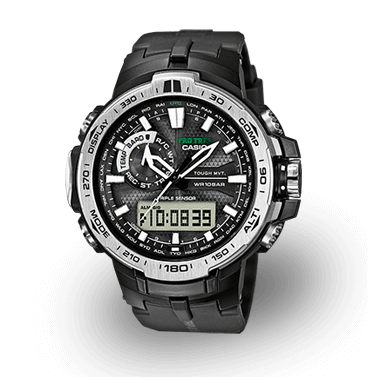 Of course, the PRW-2500 can measure also the altitude based on the atmospheric pressure. 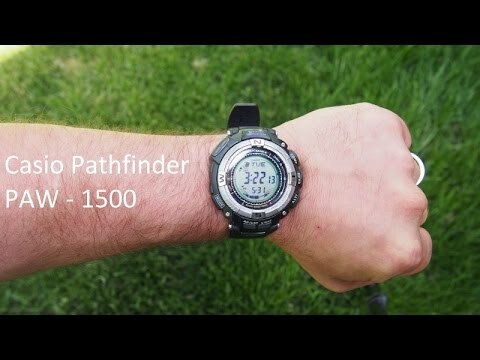 It shows not only the altitude up to 10,000 metres on, but also the current time and the change of in elevation over a certain period-virtually to determine the pace of ascent on the mountain. Also the automatic time setting via radio through six globally positioned wireless transmitteris one of the feature set of the PRW-2500. The solar operation of model also improves reliability in continuous operation. 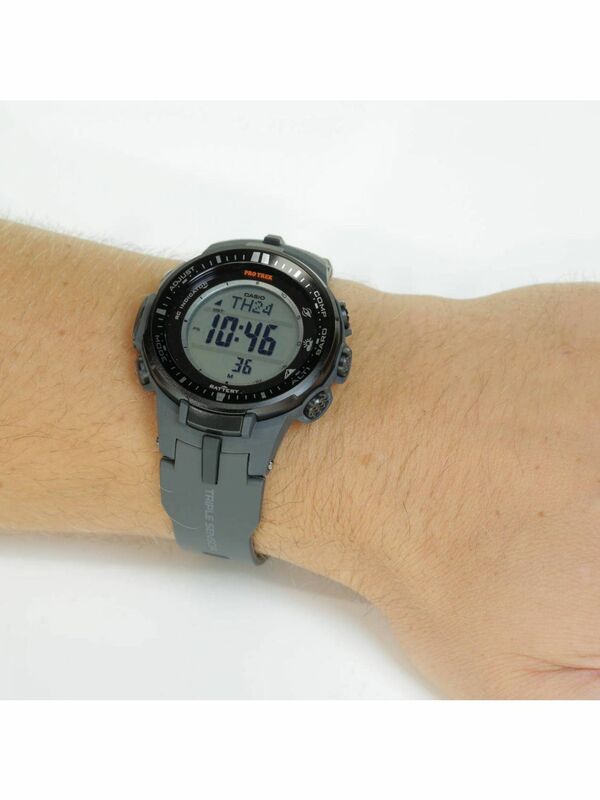 Its classical design, the body-hugging Resinarmband (also with titanium bracelet as a PRW-2500 T 7 available, see below) and the large operating buttons provide maximum comfort when worn and in the operation. 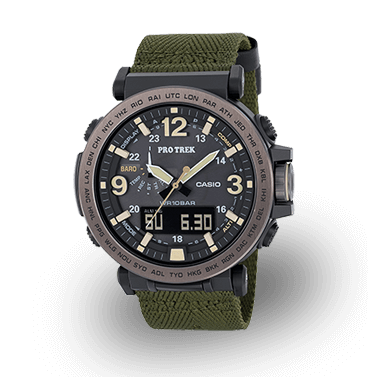 The outdoor watches of PRO TREK series based on cutting-edge sensor technology from Casio, with the important data from the environment can be measured. 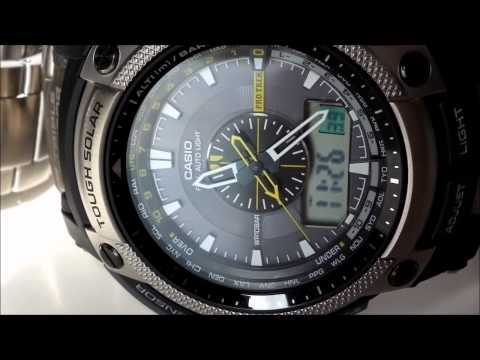 Separate sensors show the compass heading, the air pressure, the altitude above sea level and the temperature. 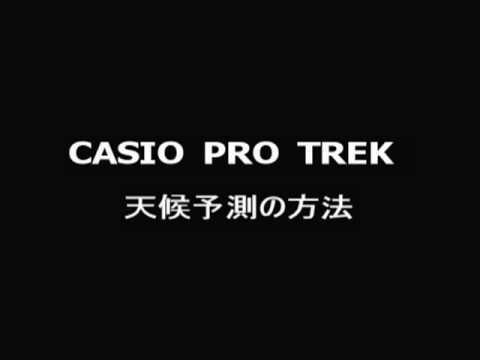 That makes the PRO TREK collection not only for climbers so popular but also with hobby hikers and campers.